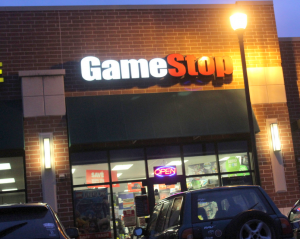 On December 28th, 2016, at approximately 9:09 p.m., Crystal Lake Police were dispatched to GameStop, located at 1125 South Route 31 for a reported Armed Robbery that had just occurred. Upon arrival Officers learned two suspects entered the store just before closing. Both suspects displayed handguns and demanded United States Currency from employees. The suspects fled the scene on foot, with an undetermined amount of United States Currency and two electronic game consoles. The suspects were last seen running south bound from the scene. Offender #1 is a male, approximately 5’11” with an average build. Offender #2 is a female, approximately 5”6″ with a large build. They further described both suspects to have been wearing black ski masks, dark colored clothing and gloves. This case remains an active investigation. Crystal Lake Police are requesting that anyone who may have information regarding this case, however slight, to contact the Crystal Lake Police Department at (815) 356-3620 or Crime Stoppers at (800) 762-STOP (7867) for those who wish to remain anonymous. Crime Stoppers does pay cash rewards for information leading to the arrest of any individual. In addition, anyone with a cell phone can send an anonymous tip to the Crystal Lake Police Department by texting the word CLPDTIP along with the tip information to 847411 (tip411). Normal text messaging rates do apply. Did these two actually state ‘United States Currency’ or was that part of the write up? I guess they weren’t taking any of those crappy store credits the place is famous for. The blessings of Section 8 housing vouchers …..
thank you el Presidente Obama! Yup… President Obama started Section 8 housing vouchers. And there was NEVER any crime in Crystal Lake before President Obama was elected (twice). Ah, the signs of demographics are changing around us, and here is the result. Wake up folks, our sleepy McHenry towns are getting more of Chicago & Waukegan’s undesirables, and quickly. These folk don’t care about our town, our shared community or anything else for that matter. Just saw gang graffiti tagged on an electrical box in downtown CL the other day…here comes the ‘hood! Wow! You all are a bunch of racist dolts. I hope your Crystal Lake crumbles ya ninnies.